Dynamic Digital Advertising, Philadelphias leading custom website design company, has forged a proprietary process for professional website design and development. This process comprises fourteen distinct levels that have been specifically formatted to design a website that places on the front pages of major search engines like Google, Yahoo, and MSN, that attracts a large amount of targeted traffic, and that converts a significant percentage of that traffic into actual business. Additional bonuses that Dynamic Digital Advertising has integrated into the professional website development process are secure website hosting, sophisticated metrics tracking, and usability analysis. 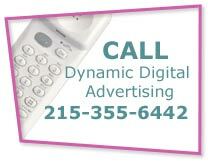 Dynamic Digital Advertising is a leading graphic design company based in southeastern Pennsylvania. DDA is happy to provide clients with one of the most extensive and varied offerings of graphic design services in the nation. These services extend to graphic design for branding and corporate identity, large format graphic design, aesthetic web graphic design, graphic design for trade show booths, and more. Dynamic Digital Advertising maintains a crew of degreed graphic designers who have worked with many companies from varying industry segments and who develop the compelling corporate imagery you need to start a successful advertising campaign. Lead your company into the 21st century with CD-ROM and DVD presentations by Dynamic Digital Advertising. Impress clients, colleagues, administrators, and others with technologically-advanced media that includes virtual reality, video, music, photographs, animation, and much more. Dynamic Digital Advertising has everything you need for an effective business presentation on CD-ROM or DVD. Dynamic Digital Advertising utilizes powerful software and digital design expertise to produce a CD-ROM that is interactive and engaging. Virtual environments, digital animation, 3D modeling, and the quick delivery of video or photography are just some of the capabilities and content a CD-ROM can offer. Combine the CD-ROM's multimedia delivery potential with web-based interfacing and you have the ability to deliver a corporate presentation that can be personalized, provide up-to-the-minute information, be easily modified, and offer real-time two-way communication. For your company’s next corporate presentation, high-end technology plus portability makes the CD-ROM or DVD an ideal way to impress your customers and prospective clients alike. DVDs and CD-ROMs are two of the most acceptable forms of presentation media. 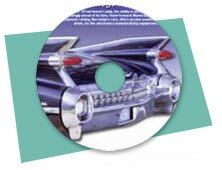 The advanced technology of DVDs and CD-ROMs promote your company’s high-tech image. As society has become more computer-orientated, many presentation facilities have done away with VCRs. In addition to superior production qualities and multimedia capabilities, CD-ROMs and DVDs are durable, light, and slender, which make them ideal for travel. Integrating original multimedia content with your company’s product or service impresses your professional audience. Custom artwork, incorporation of corporate logos, 3D-animated characters, live-person hosts, music, and more by Dynamic Digital Advertising creates a unique presentation. 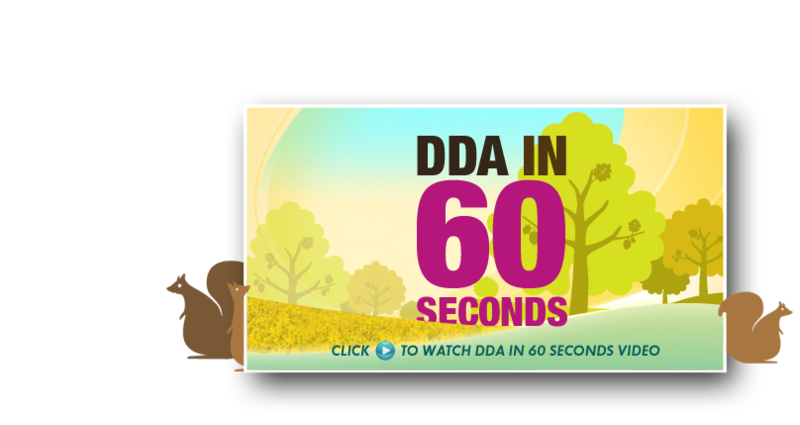 DDA employs the professionals who are experienced in a broad range of advertising and marketing technology. If you want it, DDA can do it. Stand above the mix during internal presentations and project reviews, whether you are presenting to department heads, clients, or coworkers. Call Dynamic Digital Advertising today for the design and development of a CD-ROM or DVD corporate presentation that makes an impact. Since 1994, DDA has been a pioneer in advanced digital technology for Marketing in 21st Century™. From Bucks County, Pennsylvania, in the greater metropolitan area of Philadelphia, DDA has also developed custom website design and search engine marketing to help businesses prosper in the digital world. Whether your company is based regionally in Pennsylvania, Washington D.C., New Jersey, Delaware, New York, or Maryland, or nationally around the United States, DDA provides the digital technology your company needs: call today.